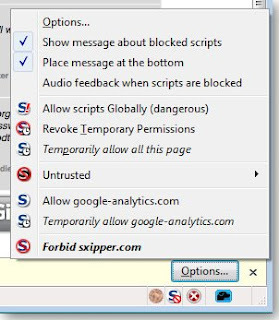 Extension NoScript 1.9.0.4 offers extra protection for your Firefox browser, giving you the ability to block scripts and plug-ins that are not your trust. 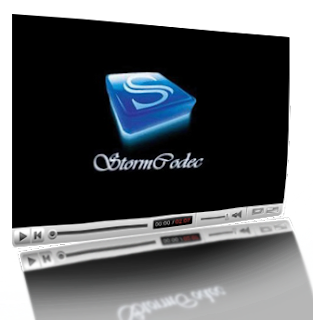 Today's software is Storm codec; we all faced some problem playing the video files in our computer at some time or the other and we then wished that there could be some universal player which will take care of all the video formats and which will not have any divx errors, and other errors. Storm codec solves this problem exactly. It has all the features that a normal computer user expects. It eats your ram and also uses your CPU, I suggest to use this codec only if you have ram more than 256 MB. The time taken by the mplayer (installed as a part of storm codec) supports all formats but akes a it more time to load than the usual players. There won't be history of the files played by the mplayer. There are a few files that are not played by storm codec also. The distribution for Windows 98, NT, 2000, 2003, XP and Vista. This version contains: Apache, MySQL, PHP + PEAR, Perl, mod_php, mod_perl, mod_ssl, OpenSSL, phpMyAdmin, Webalizer, Mercury Mail Transport System for Win32 and NetWare Systems v3.32, Ming, JpGraph, FileZilla FTP Server, mcrypt, eAccelerator, SQLite, and WEB-DAV + mod_auth_mysql. The distribution for Mac OS X contains: Apache, MySQL, PHP & PEAR, SQLite, Perl, ProFTPD, phpMyAdmin, OpenSSL, GD, Freetype2, libjpeg, libpng, zlib, Ming, Webalizer, mod_perl, eAccelerator, phpSQLiteAdmin. The distribution for Solaris (developed and tested with Solaris 8, tested with Solaris 9) contains: Apache, MySQL, PHP & PEAR, Perl, ProFTPD, phpMyAdmin, OpenSSL, Freetype2, libjpeg, libpng, zlib, expat, Ming, Webalizer, pdf class. WARNING: This version of XAMPP is still in the first steps of development. Use at you own risk! We don't like overpriced commercial software and XAMPP is our attempt to do something that shows free software doesn't have to be bad. To install XAMPP you only need to download and extract XAMPP, that's all. There are no changes to the Windows registry (not true if you use the Windows installer version of XAMPP) and it's not necessary to edit any configuration files. It couldn't be easier! To check that XAMPP is working some sample programs are included, there is a small CD collection program (written in PHP using MySQL) and a small guest book software (written in Perl) and several other demonstration utilities. If you decide that XAMPP isn't needed any more just delete the XAMPP directory and it's completely removed from your system. However if you use the Windows installer version of XAMPP it's recommended to use the uninstall feature. As every installer the installer will make registry entries to remember the install. The philosophy behind XAMPP is to build an easy to install distribution for developers to get into the world of Apache. 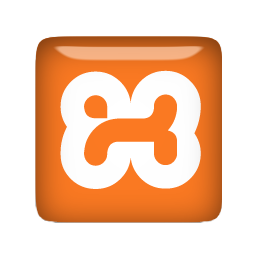 To make it convenient for developers XAMPP is configured with all features turned on. The default configuration is not good from a securtiy point of view and it's not secure enough for a production environment - please don't use XAMPP in such environment. Since LAMPP 0.9.5 you can make your XAMPP installation secure by calling »/opt/lampp/lampp security«. XAMPP is a compilation of free software (comparable to a Linux distribution), it's free of charge and it's free to copy under the terms of the GNU General Public License. But it is only the compilation of XAMPP that is published under GPL. Please check every single license of the contained products to get an overview of what is, and what isn't, allowed. In the case of commercial use please take a look at the product licenses (especially MySQL), from the XAMPP point of view commercial use is also free. Since some month (today is the 4th of july 2003) the Source Forge statistics don't work correctly any more and showing only extremely less download counts. Because of this I started to count the downloads by myself.